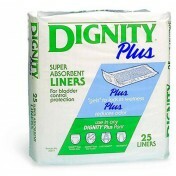 Thin, lightweight pads that will not leak, even under pressure. 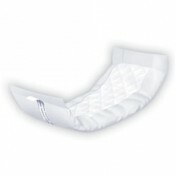 The moisture-proof barrier within the pad gives an outer cloth-like feel. 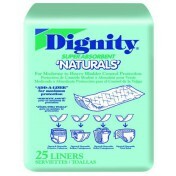 Can be worn in our Free & Active® or any Dignity® garment or your own underwear. What is the size of these pads? The width and length? 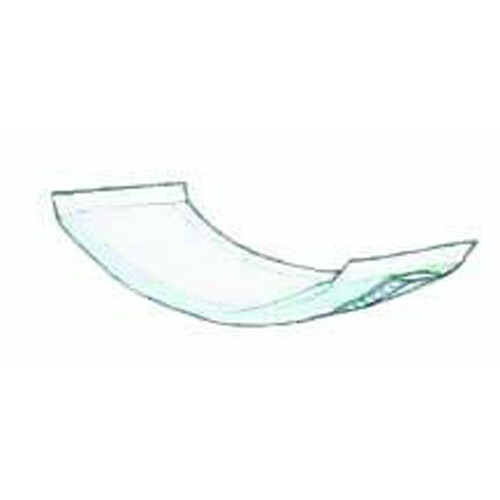 According to the manufacturer the size is: 3.5 Inches (width) x 12 Inches (length). 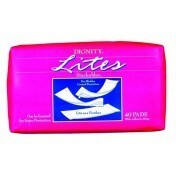 These pads are quite thin and conform to your clothing yet work well for seepage. The outer layer wicks away the fluid and the inner gel layer holds it. 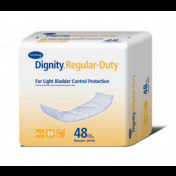 This product works good for light urine seepage but is not for those without any bladder control.